How can we make 2019 the biggest and best Healthcare Science Week yet? Healthcare Science Week will be running from 8 to 17 March 2019 alongside British Science Week. Throughout the week, NHS England, in collaboration with NHS Employers, Health Education England and the Academy for Healthcare Science encourage healthcare scientists to promote the tremendous scientific and technological developments being made across the NHS that are transforming patient care. 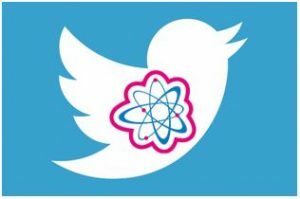 The CSO team at NHS England in collaboration with NHS Employers, Health Careers and the Academy for Healthcare Science will be hosting a tweet chat on Wednesday 6th February between 1-2pm to hear your ideas and lessons learned from previous years to inspire as many people as possible to take part. Please join @WeHCScientists @NHSEmployers @HealthCareersUK and @PresidentAHCS using #HCSWeek19. The chat will be a chance to discuss the following questions. Topic – How can we make 2019 the biggest and best Healthcare Science Week yet? 1.15pm What have you done in previous years that has worked well? 1.30pm What have you got planned for 2019? 1.45pm What could we do to help you? There are plenty of resources available to you on the Health Careers and NHS Employers websites that are being continually added to. Further resources are also available on the British Science Association website. The tweet chat will be used to inform the resources for 2019 and future years. If you’re not yet on Twitter and would like to join in, please see this guide. All you need to do is create an account and follow @WeHCScientists.